If you knew that somebody were about to stab you in the face, you’d probably find it pretty hard to chill. Yet researchers say that they were able to take people in that exact situation—patients about to undergo eye surgery while awake—and get them to relax by playing them music. They will present their findings [PDF] during the Euroanaesthesia 2016 conference in London this weekend. Music as a relaxation tool is certainly nothing new. Decades of research have found that the right tune can decrease blood pressure, slow heart rate, and even curb anxiety. But none of these studies had been conducted on people waiting for their eyeballs to be punctured. Researchers at Cochin University Hospital in Paris recruited 62 eye surgery patients. On the day of their surgery, the patients filled out questionnaires about their state of mind and their level of fear. All the patients were told to sit quietly with high-quality headphones on during the 20 minutes before their cataract surgery. For half of those patients, the headphones blocked external sound. The other half listened to music. But it wasn’t just any music. Patients were able to choose from 16 different musical styles, all provided by a company that creates strategically relaxing music. Then all the patients underwent the 15-minute surgery. Afterward, they filled out another survey about their feelings and their surgical experience. The patients who got to listen to music were significantly better off. On average, they rated their anxiety at about 23 out of 100. Members of the control group gave their anxiety about a 65. During the operation, only 16 percent of the music group needed sedation, compared to 32 percent of the non-music group. And afterward, music listeners gave their experience a mean score of 71 points out of 100, while non-listeners averaged a 55. Gilles Guerrier was the lead researcher on the project. 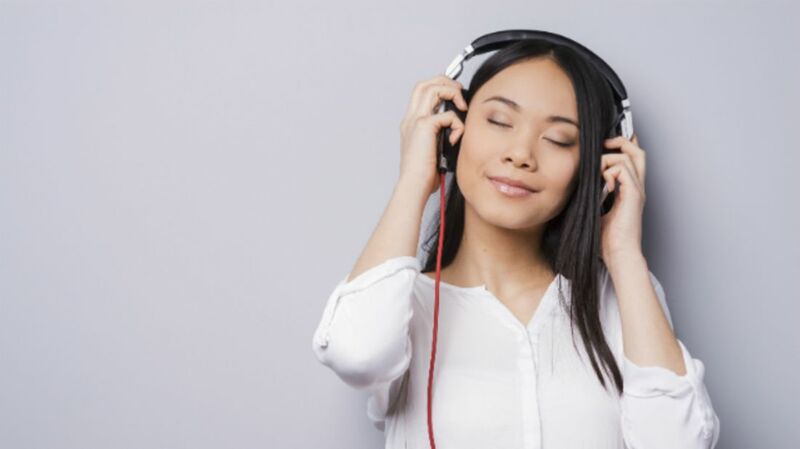 "Music listening may be considered as an inexpensive, non-invasive, non-pharmacological method to reduce anxiety for patients undergoing elective eye surgery under local anaesthesia,” he said in a press statement. Guerrier hopes to build on this study’s success. "The objective is to provide music to all patients before eye surgery,” he said. “We intend to assess the procedure in other type of surgeries, including orthopaedics where regional anaesthesia is common. Moreover, post-operative pain may be reduced by decreasing pre-operative anxiety, which is another study we intend to perform."